This story is hysterical and yet altogether frightening, as are any of the best stories out there. According to a research study carried out by Cologne University, researchers discovered that movie audience members are less likely to remember ads whilst eating popcorn. Quelle Horreur!! And to think all this time, advertisers put those incredibly invasive and annoying ads before the movie even starts so that people can remember them. Here I thought it was simply to give the general public 15 extra minutes to get to the cinema. Apparently, as published recently in the Journal of Consumer Psychology, viewers remember brands by simulating the pronunciation of the brand name with their mouths and eating of food disrupts this process. This is serious news to me, as most of the time when an ad comes on, eating or not, I literally start screaming on the inside and implode inward. It’s a knee-jerk response to the asinine advertisements shown in cinemas (or on television for that matter). According to the study – that is clearly sending shockwaves through the advertising community – scientists at Cologne University invited 96 people (why not 100? Why is it always some seemingly arbitrary number?) to watch a series of adverts followed by a movie. Half of the group was given popcorn, the other half a sugar cube. Why a sugar cube? I have no idea. Insulin burst perhaps? If someone handed me a sugar cube I’d probably stare at it for a while and have some flashback to my horse riding days. It also must be noted that the research audience was predominantly German and the ads were purposely unfamiliar to them. Apparently a week after this study, the sugar cube group was invited back and showed a preference for the products in the ads shown, and yet the popcorn group did not. So in short, according to these scientific geniuses, the “mundane activity of eating popcorn made participants immune to the pervasive effects of advertising.” Well can I hear a hallelujah?! Who knew popcorn was the kryptonite for the incessant brainwashing the Ad community is attempting to orchestrate. The frightening bit of all of this? Due to the findings of the study, it has actually been suggested that the Ad community rethink allowing the general public to be served candy prior to the movie. Just think of the fascist possibilities! Because of course it’s not enough to have product placement during the two-hour film, we need to be inundated with it prior to the movie and starved of our popcorn in the process! So listen up, brain trust think-tanks of the Scientific community and advertisers far and wide: I tell you what also turns people off advertisements…the advertisements themselves. You want me to buy a brand of butter? Screw your fancy marketing ploys and focus groups about what ad reaches the viewers more effectively. 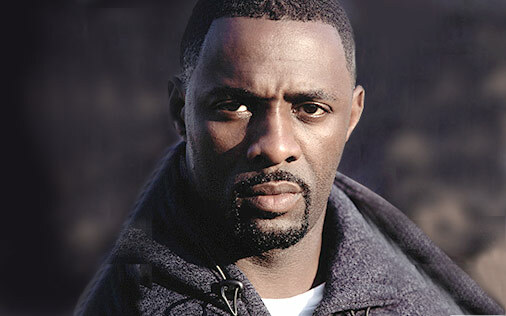 Put Idris Elba up onscreen wearing nothing but the pack of butter on his groin and trust me, I’ll remember the brand. Otherwise, up your game, stop wasting our time and get to the trailers already. And pass the popcorn while you’re at it.